In the market for a new pair of wireless earbuds? 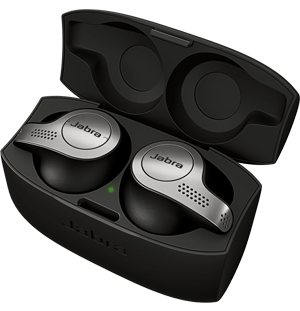 Look no further than the high-quality range at Jabra. Engineered to deliver the best audio experience and offering freedom from wires, your new earbuds promise to perform to the highest standard, no matter what the situation. Whether you need to make calls in a busy office, want to knuckle down and focus on an important task or you're looking for an amazing companion to help you get the most out of weekly workouts, our advanced selection won't disappoint. When you choose wireless earbuds from Jabra, all-day comfort and superior sound quality are guaranteed. Backed by 150 years of experience in sound technology and powered by Bluetooth, the wireless range will never let you down - it doesn't matter if you opt for the specialised Jabra Elite Sport or prefer to use the handy Jabra Halo Free, you're sure to be delighted with your brand-new earbuds. You'll always be able to hear and be heard with absolute clarity thanks to Jabra. 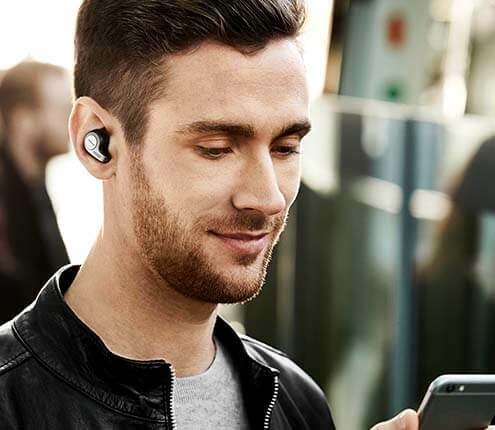 With the best-in-class sound solutions built into every Jabra wireless earbud - like the four-microphone technology found inside the Jabra Elite 65t - calls and music are enhanced and enriched. Created to combat the elements, models like the Jabra Sport Pace are both weather and sweat-resistant. Keen gym-goer or a fan of the great outdoors, wherever you want to exercise, you'll be protected from water damage thanks to official IP-ratings. You can tune in to your favourite artists for longer too. Facing a long day at the office or an about to embark on an all-day hike? It's a breeze, thanks to the exceptional battery-life offered by our advanced collection of wireless earbuds. With both portable charging options and rapid charge features available, you can stay on top of your day without ever needing to worry about finding a place to power up. Don't forget, before you choose the perfect pair of wireless earbuds to check their compatible with your preferred devices. All Jabra headsets work seamlessly with the latest smartphones, games consoles and more, but only particular headsets are compatible with Siri and Google Assistant. Discover more here, or get in touch with a friendly Jabra team member for more information. Browse the selection of wireless earbuds from Jabra, and discover the difference for yourself today.